How to Rip PAL DVD to MP4/AVI/MOV video file? As a DVD collection fan, I bet you must know there are two major DVD types, namely PAL DVD and NTSC DVD. The encoded video (MPEG2) on a DVD is stored in digital format, but it is formatted NTSC or PAL. Some players play only NTSC discs, others play PAL and NTSC discs. All DVD players sold in PAL countries play both kinds of discs while most NTSC players can’t play PAL discs, which means some of you could have trouble in playing PAL DVD. If you are using NTSC player yet want to play PAL disc, you will end up with disappointment. To play PAL DVD, either you should have a suitable DVD player like PAL player or region-free DVD player, or you should free rip PAL DVD to video in largely acceptable formats like NTSC, MP4, AVI, MOV, etc. Compared with NTSC format, MP4, AVI and MOV are more widely acceptable as they can be played even on portable mobile devices. Part 1: What is PAL DVD? 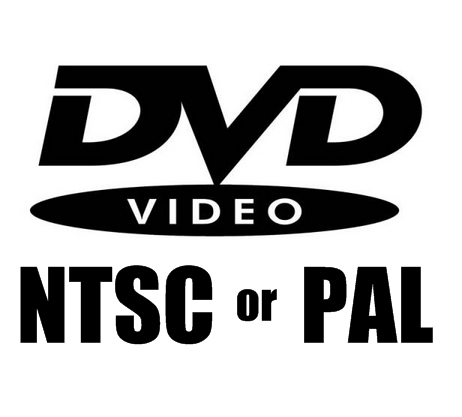 To understand what PAL DVD is, we need to figure out what NTSC DVD is at the same time as those two DVD formats are in the paralleled positions. They are two television display systems in commercial use around the globe. They differ each other in frame rate and resolution: PAL (common in Europe and parts of Asia) delivers a frame rate of 25 fps (frames per second) with 625 lines, while NTSC (used in the U.S. and Canada) delivers a frame rate of 30 fps using 525 lines. 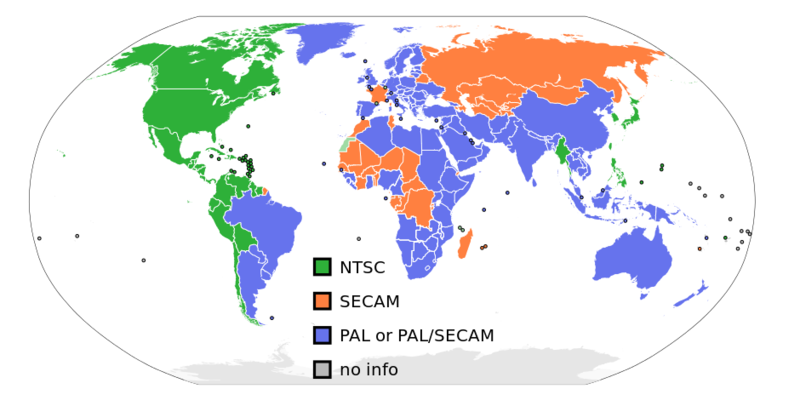 Different countries and regions adopt different DVD formats: the system in USA is NTSC while it changes to PAL in Europe.Please see the picture below about the whole world’s DVD formats. In addition to the two systems, there is “DVD region” as well. The whole world is divides into six regions when a DVD collection releases, and all DVD movies are marked with a regional code that prevents one region’s (DVD’s) disks being played on another region’s DVD player. Note:Region 0 DVDs can be played on all DVD players regardless of their specific regional coding. As is said above, there are six DVD regions around the globe. If your DVD player is unable to play DVD marked with other region’s code, then you could choose a region-free DVD player. 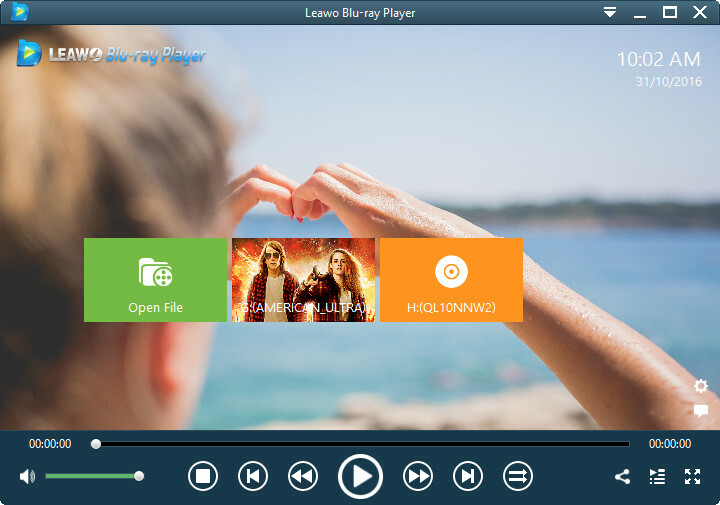 Leawo Blu-ray player is a powerful Blu-ray/DVD/Video player that can lift region and encryption limitation of a DVD disc, which enables it to play any DVD movie from any region. Additionally, the region-free DVD player can act the role of PAL DVD player to play PAL DVD and NTSC DVD as well. The main interface is user-friendly and it is easy to operate. Launch the program and click “Open File” button to browse the file that you want to play. However, for some of you who want to better enjoy PAL DVD on the go anytime anywhere possible, the DVD player seems not to be a good option as it only supports PC and Mac. In this case, you could free rip PAL DVD to MP4, convert PAL DVD to AVI and back up PAL DVD as MOV as MP4, AVI and MOV are widely supported by portable mobile devices. Among them, MP4 format is the most popular one. There are many obvious benefits that we can get after ripping PAL DVD to common video files. On one hand, we can well protect PAL DVD collection from being scratched as we can enjoy the original DVD item in common video formats without inserting DVD disc into DVD drive. On the other, we can get rid of the limitation of DVD player and then enjoy the DVD file on various portable mobile devices on the go anytime and anywhere possible. To free rip PAL DVD to MP4 or to convert PAL DVD into AVI or MOV, you need to free download and install a suitable DVD ripper or converter. Considering the particularities of PAL DVD, you need to pay more attention to DVD ripper choosing. The PAL DVD might be copy protected, so you need to choose a DVD ripper featuring decryption ability. And the PAL DVD is absolutely marked with a region’s code, you’d better choose a DVD converter possessing region limitation removing. Leawo DVD Ripper is a DVD converter that can meet both demands. The Ripper have two versions available for grabbing, Windows and Mac version. You can free download and install the Ripper to begin PAL DVD to MP4/AVI/MOV video file ripping process by following the step by step below. Step 1. Kick off Leawo DVD Ripper, insert source PAL DVD disc into the DVD drive and click “Add Blu-ray/DVD” button to load source PAL DVD. Step 2. Click the drop-down list to change the output video format. 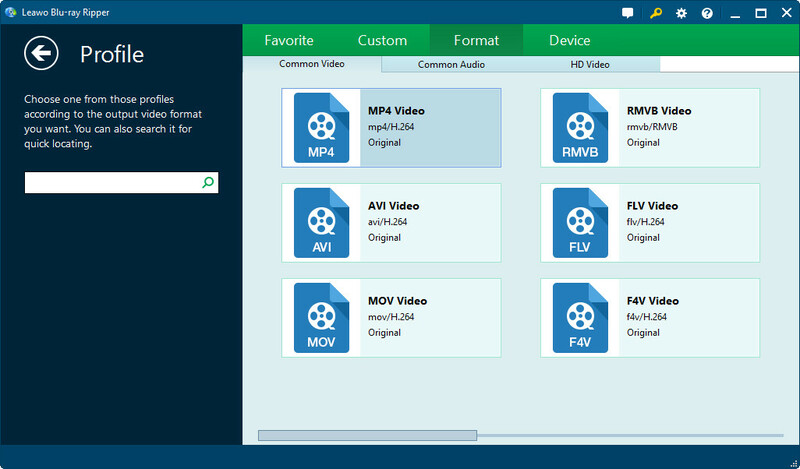 If you would like to choose MP4 as the output video format, choose MP4 in the pop-up Profile panel (you can also choose other formats like AVI or MOV). Step 3. This step is optional. 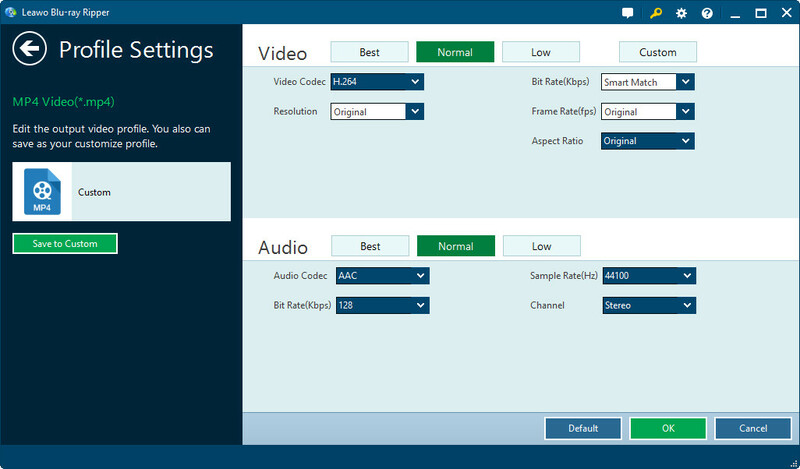 You can edit the output video and audio settings in details, such as video and audio codec, Bit Rate, Resolution, Frame Rate, Sample Rate, Aspect Ratio and Channel. If you are not sure of what to set, you can skip the step or just leave those parameters at default. Step 4.Finally, click the green “Convert” button to select destination folder to save the converted video, then click the other “Convert” button to begin the conversion process. You can view or pause the conversion process on the main interface. During Step 2, you can directly choose the name of output device instead. For example, if you want to play PAL DVD on iPad, you can single out “iPad” in the “Device” column. Leawo DVD Ripper supports nearly every portable mobile devices on the market. During Step 4, before you click the green “Convert” button, as you can see on the main interface, you can choose the right subtitles and audio tracks at your will.